Neflix is full of binge-worthy shows and honestly, it is a bit overwhelming. 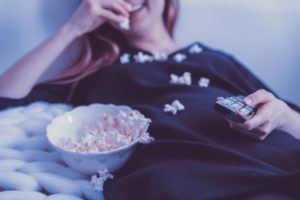 Here are a few sites to help you narrow down your next binge. I've also written a few blogs on shows I've binged and loved. * Many Netlflix originals are TV-MA. Please check the rating on the show before watching or check with a parent if you are unsure about content.